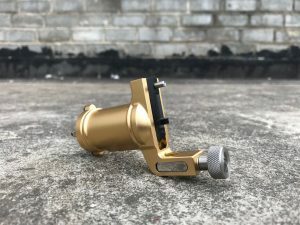 Getting high-quality equipment for tattooing is the single way to choose when starting creating stylish tattoos and earning in this business. No one artist can work without a professional liner. 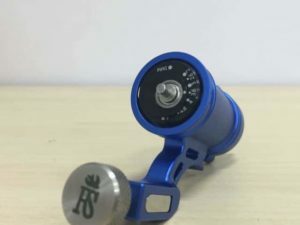 The contact screw of this device with an angle of 30 degrees is noticeably further back on the machine – thus a tattoo specialist will easily recognize it between the other equipment for tattooing. The gap seen between the contact screw and the item’s front spring is less than the gap in a classic shader. 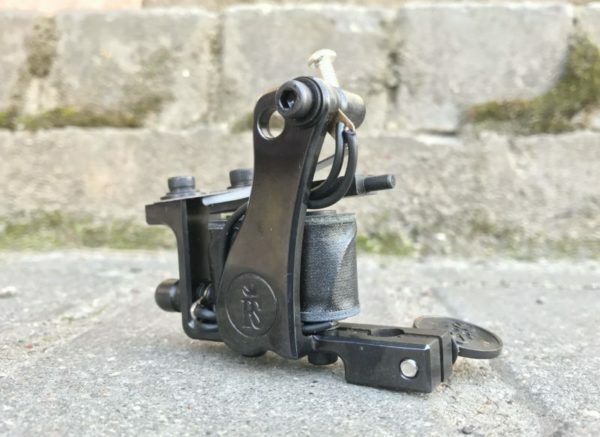 Using BONE BLCK Liner Tattoo Machine, a master easily creates exact lines and draws a tattoo contour. The frame of this unit steel device, its “skeleton”, perfectly holds all the details letting the machine operating with no difficulties. The frame also quickly conducts an electrical current produced by the device’s power supply. This 160 Hz liner works with 6, 6 V voltage. It has 26 millimeters 8 wraps coils and uses 3 – 7 Rl needles. The total weight of this professional device is 180 grams.